It’s been over three years since they called off their engagement, but Perrie Edwards and Zayn Malik are still not on speaking terms. That’s right. Sources close to the former One Direction member told J-14 exclusively that the Little Mix singer not only doesn’t talk to her ex-fiancé, but she also has no sympathy for his split with model Gigi Hadid. Zigi became an item soon after the 26-year-old split from Perrie, but after more than three years together, the two went their separate ways earlier this month. But now, the “Woman Like Me” singer has moved on. The source added that she wants nothing to do with her ex, even though he’s going through his own heartbreak. “Although Perrie has managed to move on with her life, I doubt she’ll have much sympathy for Zayn right now,” the insider continued. 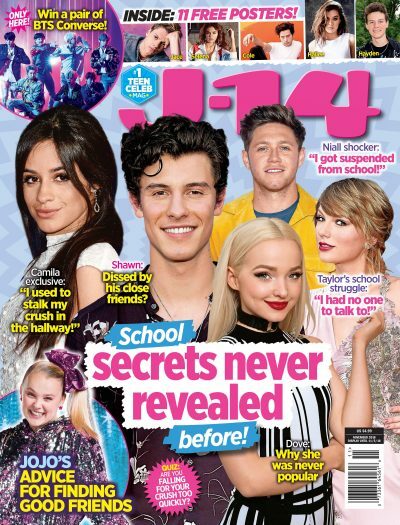 As J-14 readers know, the couple dated for almost four years and were even preparing to get married, but they shocked the world when they called it quits back in 2015. The split was pretty ugly, as there were a ton of rumors that the 26-year-old cheated on Perrie, which Zayn ended up denying. Plus, it was also reported at the time he dumped Perrie via text message, so yeah, it was truly a mess. Not to mention that after the breakup, Perrie, who’s happily dating soccer player Alex Oxlade-Chamberlain now, even wrote a song about the ex One Direction member. The tune was called “Shoutout To My Ex,” and she totally shaded him in it. As for Perrie’s love life, she and her new BF have been going strong for more than two years, and they’re honestly goals. From constantly sharing the cutest pics on Instagram to gushing over each other in interviews, they seriously are the cutest. Although we’re definitely a huge fan of Perrie and Alex, our #Zerrie feels will always live deep inside us. Hopefully they can make up soon!